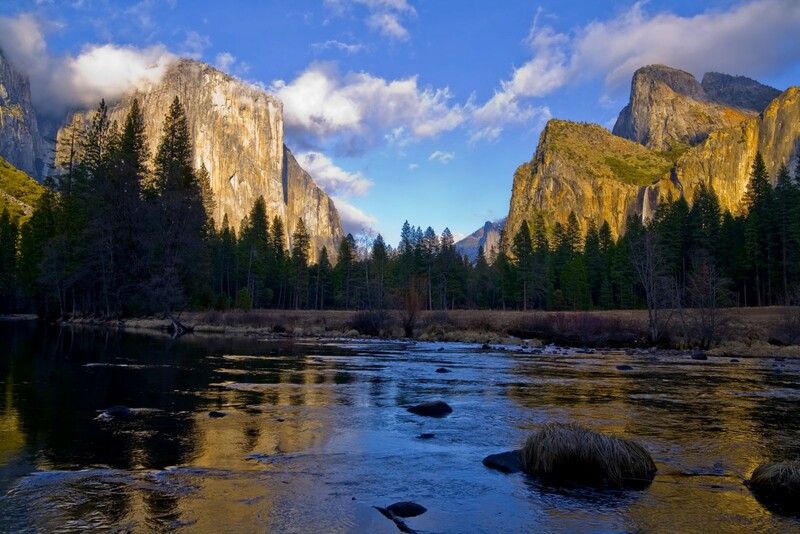 The 15 Best National Parks to Visit in the U.S.
Yellowstone was the world’s very first national park, spread throughout three states: Idaho, Montana, and Wyoming. 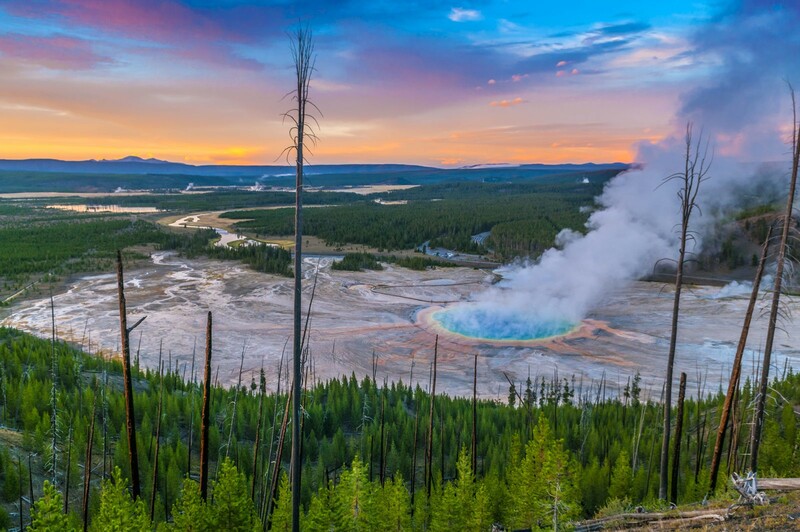 This unique park is the very heart of the Greater Yellowstone Ecosystem (GYE) and contains the greatest concentration of geothermal features on the planet! Staples like Old Faithful, the Grand Canyon of Yellowstone, and Mammoth Hot Springs are all must-sees in this park of mind-blowing diversity. There’s just nothing quite like the experience of looking over the edge of this mile-deep, two-billion-year-old canyon. Located in Arizona, the Grand Canyon ranks as the second most visited national park, with over six million people in 2017, mostly along the South Rim. Grand Canyon did not become a national park until 1919, three years after the creation of the National Park Service. 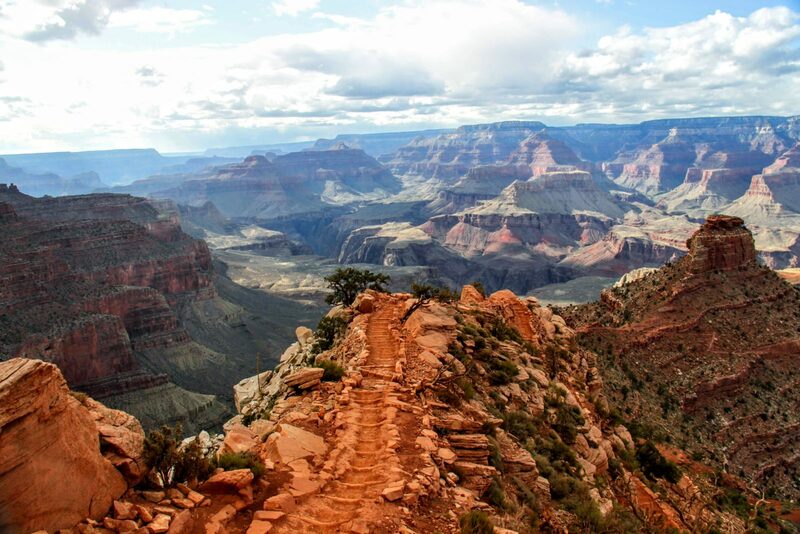 This year marks the 100th anniversary of Grand Canyon National Park! 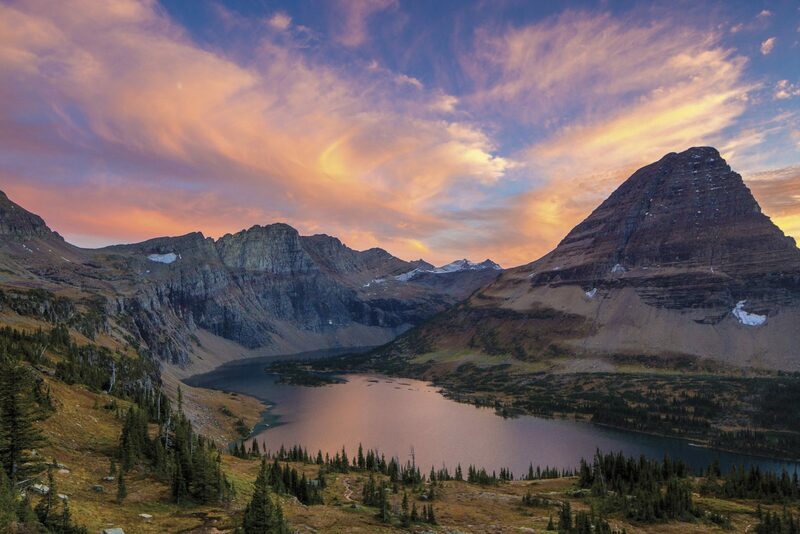 Glacier National Park was named after the glaciers that carved its landscape millions of years ago. With over one million acres of protected land, Glacier is a biosphere reserve, a World Heritage Site, and one of the world’s first international peace parks. Established in 1910, the “Crown of the Continent” has over 700 miles of hiking trails, as well as the famous Going-to-the-Sun Road. Zion was Utah’s first national park and remains its most popular, known for slot canyons, soaring towers of orange-red monoliths, and scenic sandstone. 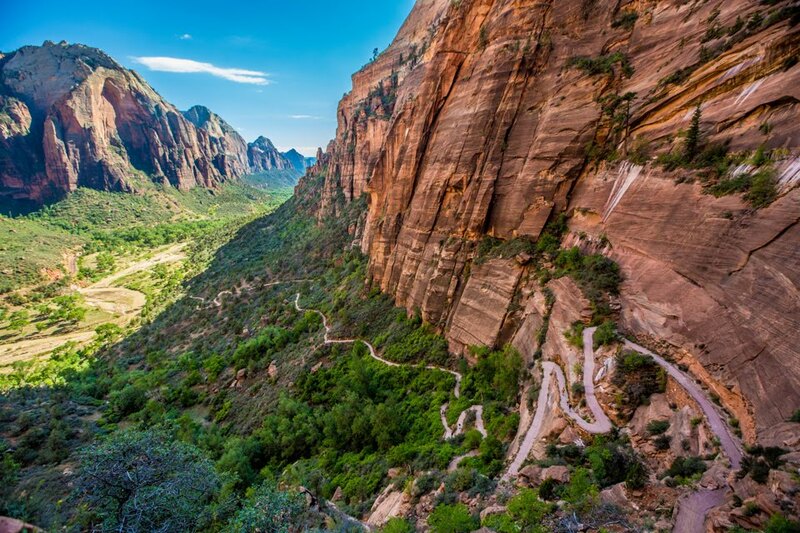 Angels Landing and the Narrows are recognized as two of the top-rated hikes in the world. There are about 800 native plant species in Zion, which makes it the richest plant diversity in all of Utah. Before it was named Zion, the Southern Paiute called this place Mukuntuweap, which means “straight canyon.” In 2000, the park developed its free shuttle service to use during the busiest months, unlike most national parks in the nation. 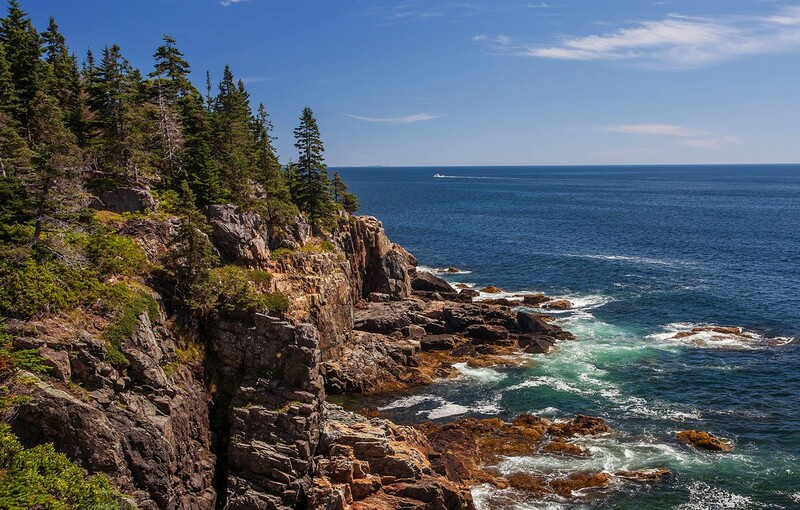 Go to Maine for the lobster, but stay for Acadia National Park. Acadia was the nation’s first national park east of the Mississippi. Millions of people visit Acadia every year to explore its seven peaks above 1,000 feet, 158 miles of hiking trails, 45 miles of carriage roads with 16 stone bridges, and four lighthouses. In 1916, President Wilson announced the creation of Sieur de Monts National Monument. He then signed the act establishing Lafayette National Park in 1919, and finally, in 1929, the park’s name was changed to the Acadia National Park that we know and love today. Bryce Canyon National Park is located in southcentral Utah along the eastern edge of the Paunsaugunt Plateau. 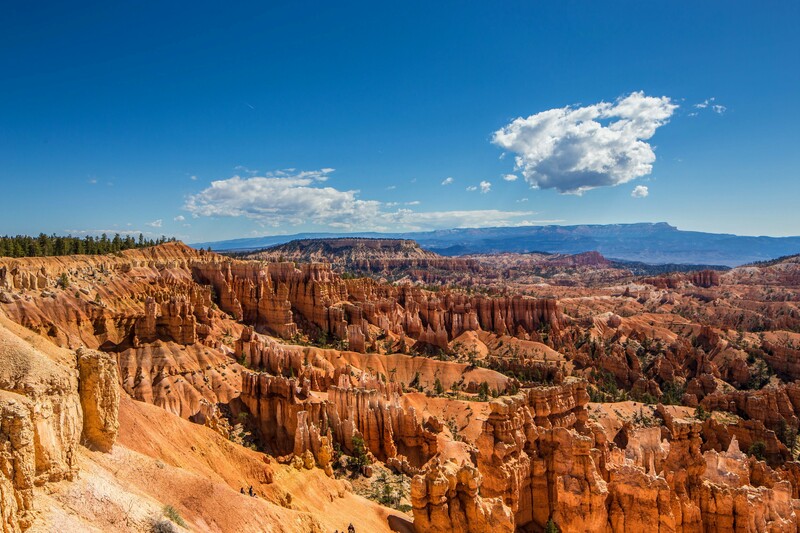 Although it’s referred to as a canyon, Bryce Canyon is actually a series of natural amphitheaters consisting of ‘hoodoos’ which are tall, pillar-like rock structures formed from millions of years of erosion. The park was named after Ebenezer Bryce, who was reported to have once said, “It’s a hell of a place to lose a cow!” This whimsical place is a forest of stone, offering some of the world’s best air quality and panoramic views of 200 miles. 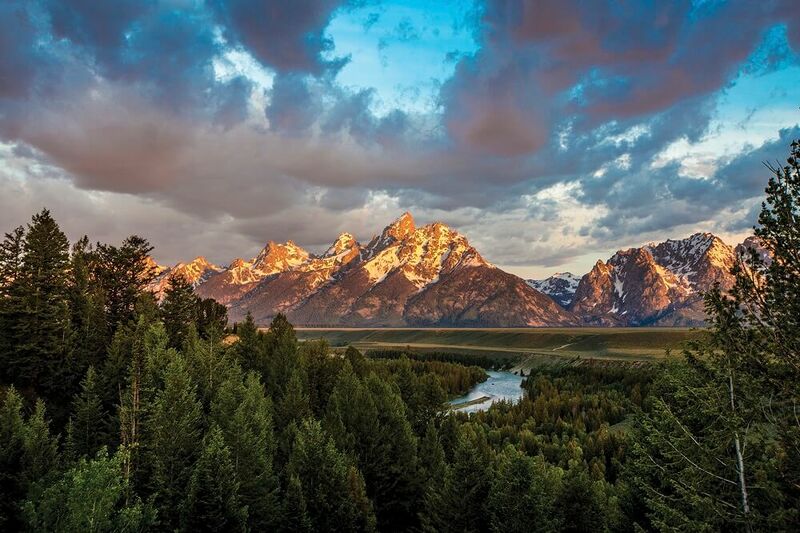 While the Teton mountain range is the staple of the park, Grand Teton National Park would not be the same without the Snake River, a watery ribbon that ties the peaks together with the beautiful valley below, and the string of glacial lakes at the foot of the granite mountains. Famous for its wildlife, it is not uncommon to spot a multitude of animals, from elk, bison, and moose to river otters, bald eagles, and trumpeter swans. The park was one of the longest and most bitterly fought among the American conservation battles. Whereas Yellowstone took only two years to become established, Grand Teton took 50! Canyonlands is just a short drive away from Arches National Park and is named after its dramatic canyons and buttes carved by the Colorado River. 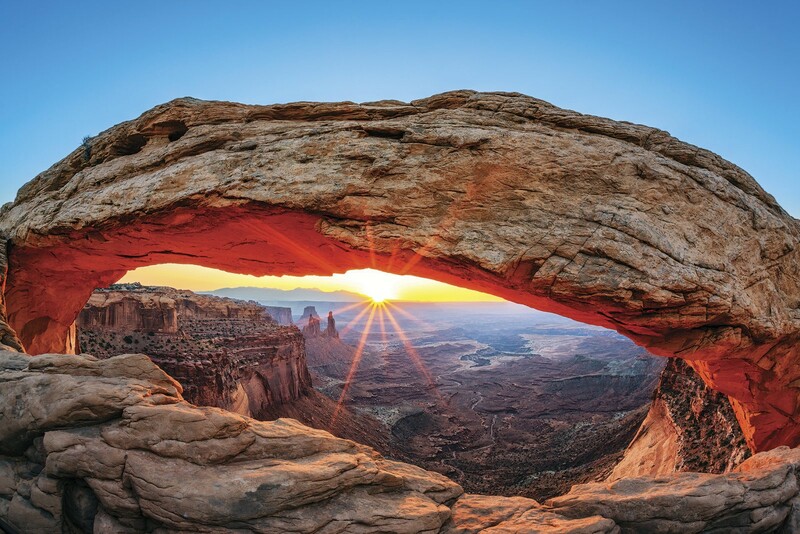 Canyonlands consists of 337,598 acres of colorful geological wonders. The most visited region is the Island in the Sky, a huge, towering mesa with endless panoramic overlooks. The other two notable areas of the park include towering rock spires of the Needles and the remote labyrinth-like canyons known as the Maze. 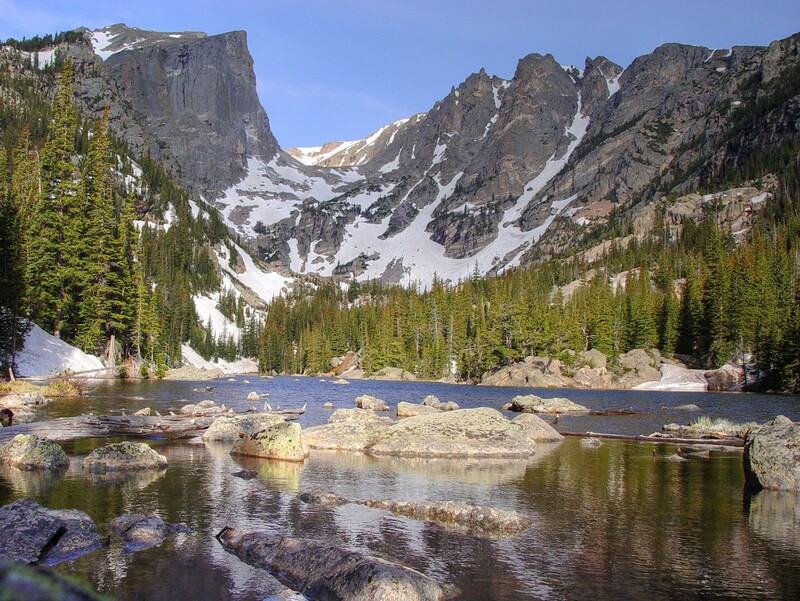 Located in the Colorado Rockies northwest of Boulder, Rocky Mountain became a national park in 1915. This park is a mountainous playground with 355 miles of hiking trails, 150 lakes, and 60 peaks taller than 12,000 feet just begging to be climbed. Unlike Yellowstone, Grand Canyon, and Glacier, Rocky Mountain National Park never contained a railroad, and therefore its road network became a high priority. The Trail Ridge Road weaves through forests, meadows, and up to spectacular heights. Arches National Park is located in southeastern Utah north of Moab. This magical national park features over 2,000 natural red rock arches! (The qualifications of an arch is an opening with 3 feet in any direction.) The park has been a backdrop for multiple famous movies, such as Indiana Jones, Thelma & Louise, and a handful of films starring John Wayne. 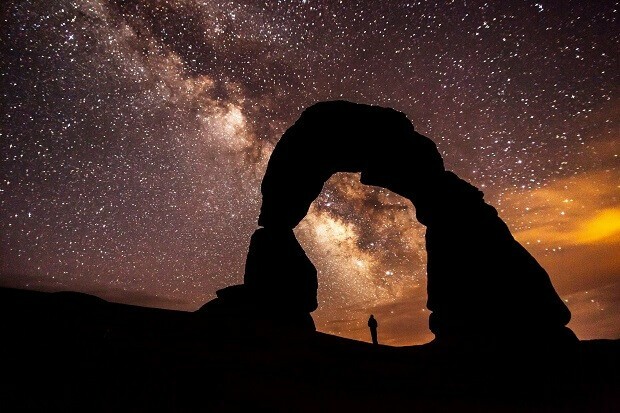 The Delicate Arch, Balanced Rock, Devils Garden, and Fiery Furnace are a few of the park’s must-see attractions. 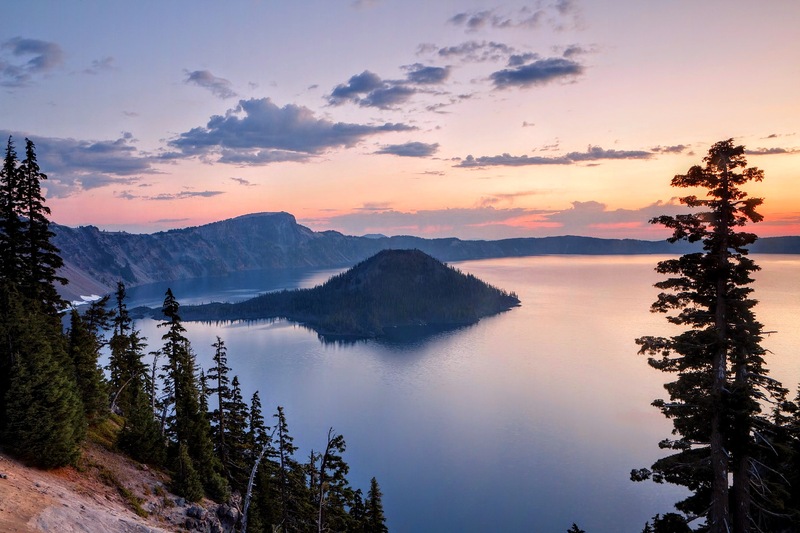 Founded in 1902, Crater Lake National Park features the deepest lake in the United States with a maximum depth of 1,943 feet! The famously clear-blue lake was formed by the collapse of an ancient volcano which violently erupted approximately 7,700 years ago. That eruption was 42 times as powerful as the eruption of Mt. St. Helens! The final piece of Crater Lake is the unique cinder cone of Wizard Island, which rises 763 feet above the lake, yet is the very tip of the drowned volcano. This national park sits on 522,427 acres of land and is divided almost evenly between the states of North Carolina and Tennessee. 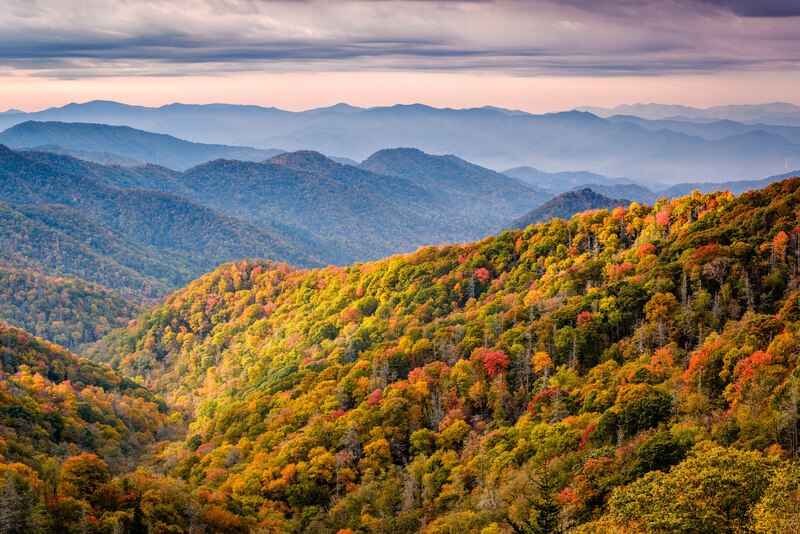 As one of the largest protected areas in the nation, Great Smoky Mountains is also America’s most visited national park, receiving over 11.3 million annual visitors in the last two years. The park provides an economic hub which generated over $923 million in 2017 and supported 14,000 jobs in surrounding communities, a cumulative benefit of over $1 billion! Kenai Fjords National Park sits at the edge of the North Pacific Ocean. The park is dominated by nearly 40 glaciers that flow out from the Harding Icefield. The glaciers carved out the land which make for a special habitat to a gamut of wildlife. From charismatic puffins to peregrine falcons, tens of thousands of seabirds migrate or congregate here. Sea otters, porpoise, harbor seals, sea lions, and a wide variety of whales live here, as well as land mammals such as bears, moose, and mountain goats. 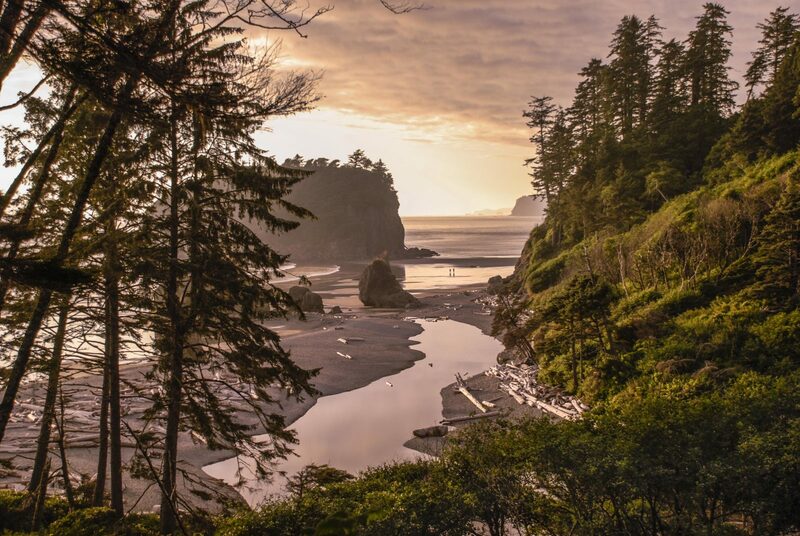 Olympic National Park consists of vastly different ecosystems, from temperate rain forests to glacier-capped mountains to over 70 miles of coastline! Encompassing about one million acres, 95% of the park is wilderness. Some areas get as much as 12 feet of rain a year! The park was originally established as a forest reserve in 1897. In 1909, President Teddy Roosevelt designated part of the reserve as Mt. Olympus National Monument to protect the habitat of Roosevelt elk. Finally, after visiting the Olympic Peninsula, Roosevelt established the national park in 1938.